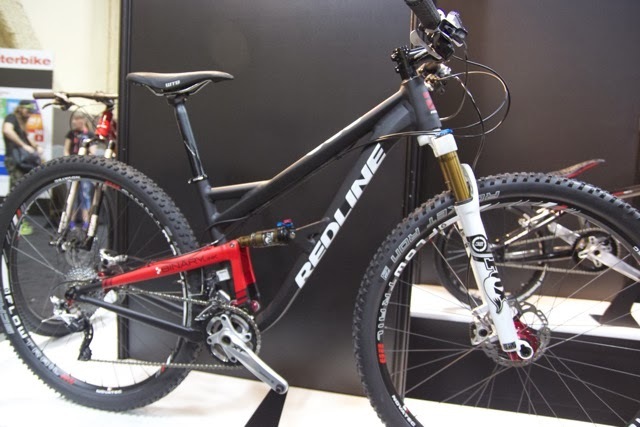 The Redline d880 is an FS 29er with 100mm of front suspension and 110mm of rear suspension. This seems a tad odd since most designers choose to run more suspension up front if there’s any difference at all, but since we haven’t had time on the bike personally, we can’t comment on the ride quality. However, the extra 10mm of rear suspension suggests you could swap out the front fork for a 120 or 125 to turn the 880 into a slightly slacker, more aggressive rig.